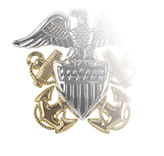 On September 16, 2009, the Chief of Naval Operations announced in NAVADMIN 271/09 that the insignia for Naval Aircrew (NAC) insignia was being redesignated as Naval Aircrew Warfare Specialist. 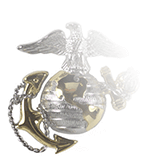 This move to a warfare designation predated by nearly a year OPNAVINST 1414.9, the Navy Enlisted Warfare Qualification Programs Instruction, which mandated warfare qualification for sailors and assigned oversight of the qualification programs to various commands (Surface Forces, Special Warfare, etc.). Interestingly, the Instruction did not list a specific warfare qualification program for Naval Aircrew Warfare Specialist; presumably it is included in the wheelhouse of the Commander of Naval Air Forces. What’s more, this redesignation did not extend to the abbreviations used as a Sailor’s warfare designator, which the NAVADMIN explicitly stated would remain “NAC.” In contrast, the Naval Military Personnel Manual’s uses “NAWS” as the acronym for the Naval Aircrew Warfare Specialist designation. 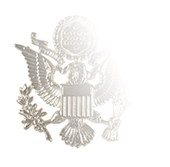 Acronyms aside, the overarching requirement for qualifying for the Aircrew Warfare Specialist breast insignia is to be qualified as a crewmember. BUPERS Instruction l326.4E defines a crewmember who is not only physically qualified to fly, but also participates in aerial operations on a regular basis and is assigned under DIFCREW (Duty Involving Flying as a Crewmember) Orders. Crewmembers fall into two categories: Career Enlisted Flyers of Non-Career Crewmembers. Source rating for Career Enlisted Flyers comprise the five service ratings—Operator, Mechanical, Avionics, Helicopter, and Tactical Helicopter—found within the Naval Aircrewman rating. 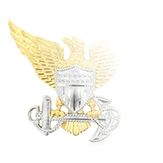 Examples of Non-Career Crewmember ratings include (but are not limited to) Cryptologic Technicians, Hospital Corpsman, and Culinary Specialist. In addition to establish a record of above-average performance, candidates for Aircrew Warfare Specialist qualification must complete approved aircrew training that leads to the awarding of NECs of 78XXX, 82XX, 8401 (Search and Rescue SAR Medical Technician), OR 94XX. 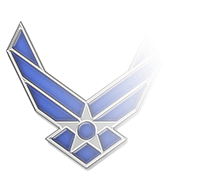 To earn the badge, candidates must complete all the positional qualification requirements (NECs) related to their aircraft within 18 months of being assigned to their Permanent Duty Station. Regardless of rating, all Sailors seeking a career as Naval Aircrew Warfare Specialists must complete a rigorous program that takes them from Recruit Training Command to Naval Aircrew Candidates School (NACCS) before they attend various specialized Class “A” Technical schools. (Note: some ratings require completion of the Aviation Rescue Swimmer School.) Along the way, they must achieve at least a “satisfactory” grade before beginning NACCS and a grade of “good” in order to graduate.